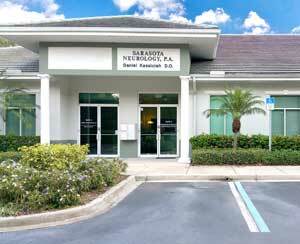 Patient care and quality of life is our first priority at Sarasota Neurology. Our office is a clean, well-lit environment where you will feel comfortable. We utilize the latest technology, including Electronic Medical Records, which allows us to run efficiently and on time. You can expect to be seen in a timely fashion, with minimal waiting. I believe that patients deserve the absolute best medical care available. Improvement in my patient’s well-being and quality of life is my foremost goal and objective.